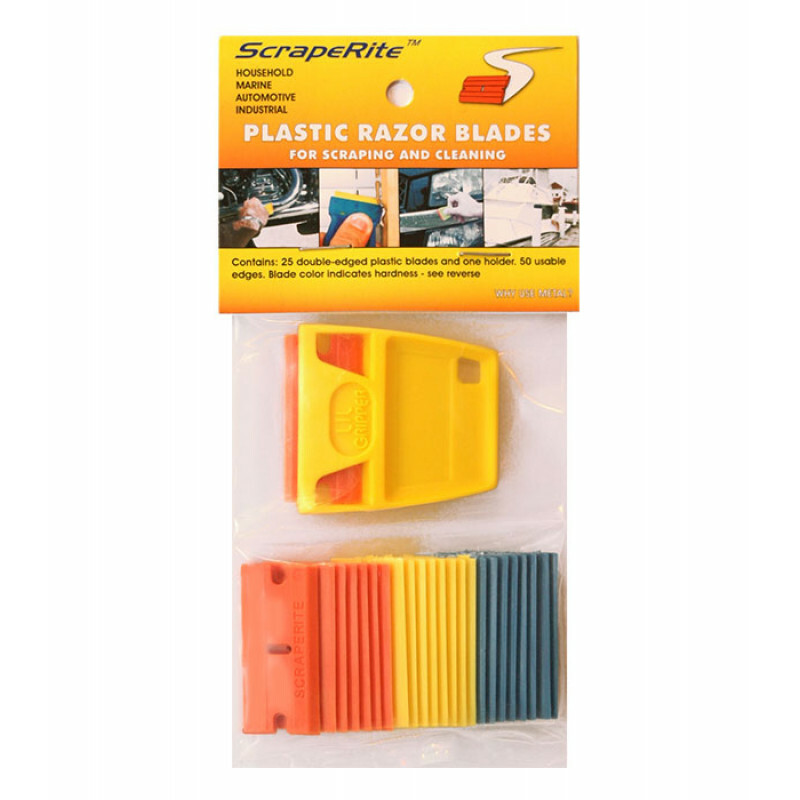 Contains 8 of each blade, general purpose, acrylic and polycarbonate blades and one holder. Contains 8 of each blade, general purpose, acrylic and polycarbonate blades and one holder. General purpose blades are great for use on just about any surface, acrylic blades are used on hard flat surfaces and polycarbonate blades are the most durable and great on harder jobs where flexibility is important. Use it safely on painted surfaces, wood, fabric, and other delicate surfaces. Brandon Review by Great pack!